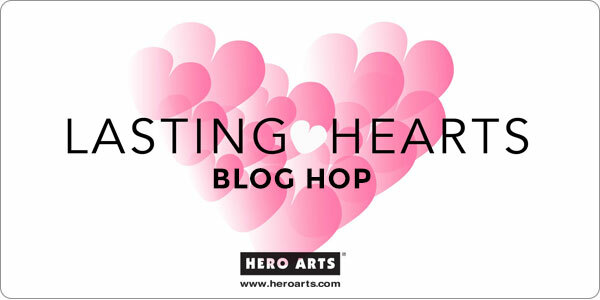 Hello and welcome to my stop on the Hero Arts Color Layering Blog Hop! Color Layering uses the technique of stamping progressively, building color and detail, resulting in an elegant, dimensional look. We've asked our talented group of artists to recommend their favorite colors to best highlight each Color Layering stamp set. The results have been developed into 4-cube ink packs, featuring the championing artist's name. While the inks were developed with a specific stamp set in mind, the packs offer wonderful and rich versatility; you'll find they work well with most any set and often produce stunning and unexpected results. Hero Arts has also combined the new ink packs with their Color Layering stamp set (and dies in some cases) into bundles. Here's a look at the ink cube pack that I created called Kelly's Flowers as well as the bundle that is available using the stamp set and die that I chose. Now onto the card I created using these products! 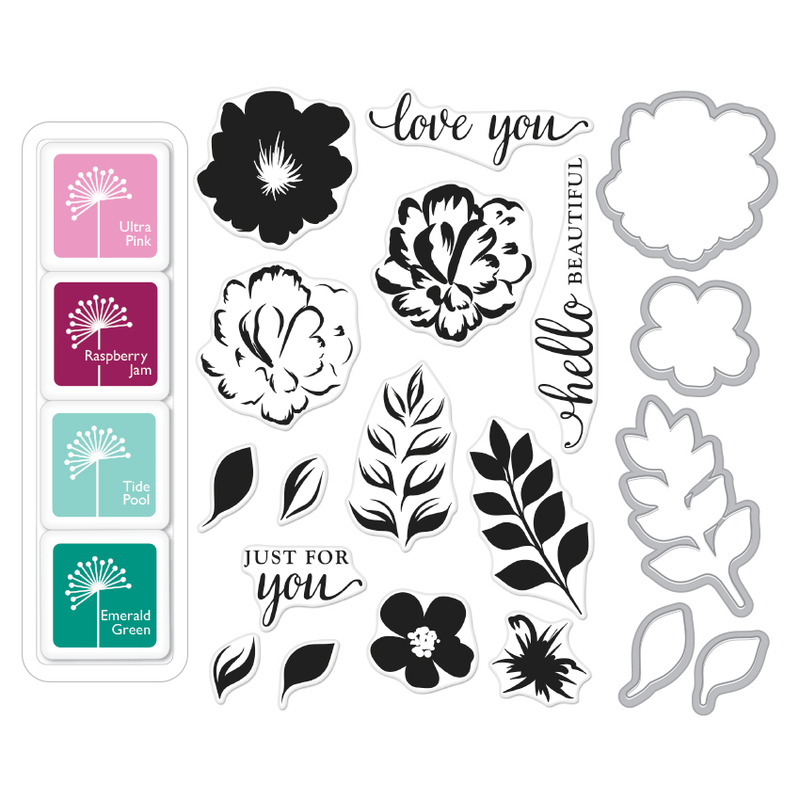 I started out by stamping the flowers and leaves with the colors in the Kelly's Flowers ink cube pack. I also added a white pigment ink for the third layer on my flower. It doesn't show up in the photo very well, but it adds another color dimension to the flower. I recently purchased a Mini Misti and it is a game changer...especially with these Color Layering Stamps! I white heat embossed the message on a vellum panel and adhered the leaves and flowers. The black and white striped washi tape adds a fun element and was a great place for me to hide some adhesive on the vellum. I created a subtle background using white embossing paste and the Criss Cross Stencil. And a scattering of some black sequins and pearls helped tie the card all together. Hero Arts will give away a Color Layering Bundle of your choice to FIVE lucky blog readers - selected from comments left across all blogs in the hop. Comments close Sunday June 19 at 11:59pm PT and the winner will be announced the following week. Hello and welcome to my stop on the May My Monthly Hero Blog Hop! This month's kit was inspired by Jennifer McGuire and her wonderful Share Handmade Kindness campaign. The kit contains everything you need to say thank you, make someone's day or spread a little kindness. I am extra excited about this kit because I got to design the stamps, dies and a super fun backer card that's included in the kit. You can purchase the kit in the Hero Arts Online Store now! I have two projects to share with you today -- one using the gift card envelope die in the main kit and another using the Thank You add-on die. I die cut the gift card envelope from watercolor paper and taped off a border on the front panel with painter's tape. Then I used Distress Inks to watercolor a background and dried it using my heat tool. Next, I stamped the message with VersaMark ink and black heat embossed the image. The stamp set is designed to be able to use the handwritten thank you message together or just the word "you" like I did here. The smaller coordinating messages are also great for the insides of cards! The backside of the envelope has a v-shaped flapped that folds over and tucks into a 1" slit. I used one of the images from the Happy Mail add-on to create a seal for the envelope. But you do not need to use any adhesive to close it -- the whole envelope can be assembled with no adhesive! I easily attached the gift card with a glue dot that are also included in the kit. And you can see there is even space to write a message on the bottom flap. I love how simple and quick this gift card envelope is to pull together! I also wanted to share a couple add-on's that are being offered with the kit because I think I love them just as much as the kit! There is a 4x6 clear set called Happy Mail and a Thank You Pair Fancy Die. The word die is the same size as the "thank you" message in the kit stamp set and the words are separate so you can easily use one or both. I love how delicate this die is and that it can be the focal point of a card. I've covered the die in some gold glitter and adhered it over a subtle watercolor background. And I've included one of the coordinating messages from the kit stamp set. Thank you so much for stopping by today and I can't wait to see what all of you create with this kit! Remember this kit is available for a limited time only - once it's gone, it's gone! Happy Monday! The April My Monthly Hero Kit is now available for purchase! 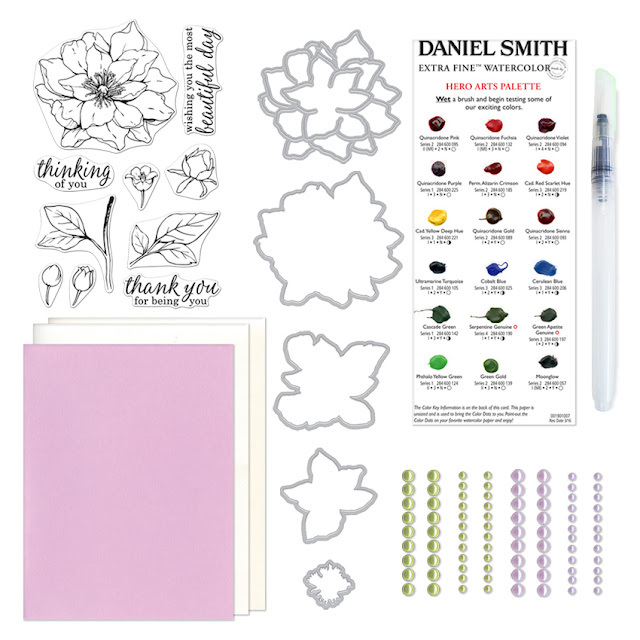 This kit features a 4x6 stamp set, a set of four coordinating flower dies, a paper layering die, a dot sheet of Daniel Smith watercolors, a waterbrush, heavy cream and white cardstock, notecards and pearls. Wow...that's a lot of goodness for $29.99! To show this kit in action I've created a card featuring the stamp set and the amazing Daniel Smith watercolors. These watercolors are very high quality and I am amazed at how many cards I will be able to create with just a single dot of color. I white heat embossed an arrangement of flowers on some watercolor paper. And then I just had fun adding color to those gorgeous flowers! I like to allow layers to completely dry and then come in with more color for extra dimension. Then I stamped the sentiment, added a few pearls and the card was done! 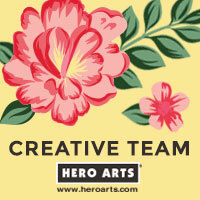 Hero Arts will be giving away one kit to a lucky reader! The winner will be selected from the comments across all of the blogs in the hop.